I’ve ever wanted to travel to the Baltics. Whether Estonia, Lithuania or Latvia – there’s no particular reason, just because of the interest in this region. In the past, however, I decided for other eastern European cities like Warsaw, Odessa or Prague. Finally my time has come and I was curious about the country, the people, the nature and the local life. 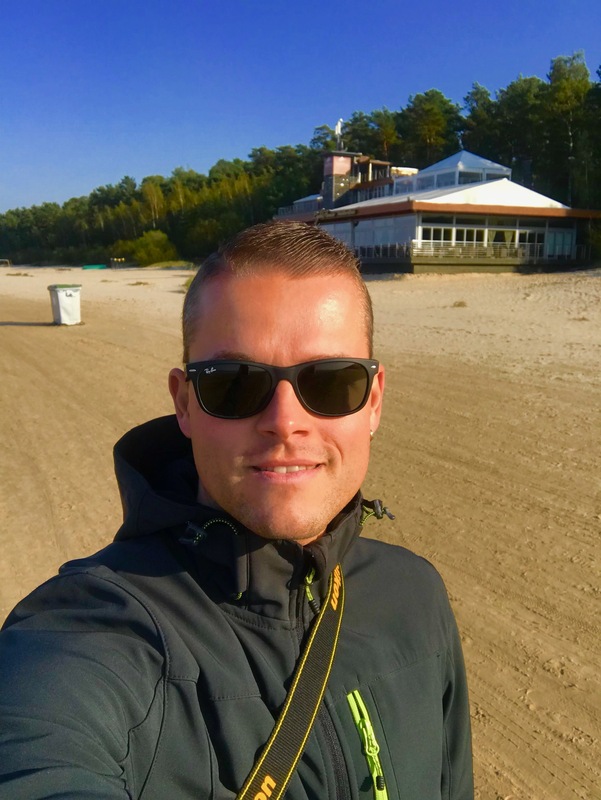 Framed by the Baltic Sea to the west, the other Baltic countries to the north and south and Russia to the east, I was really interested to see what Latvia would feel like. 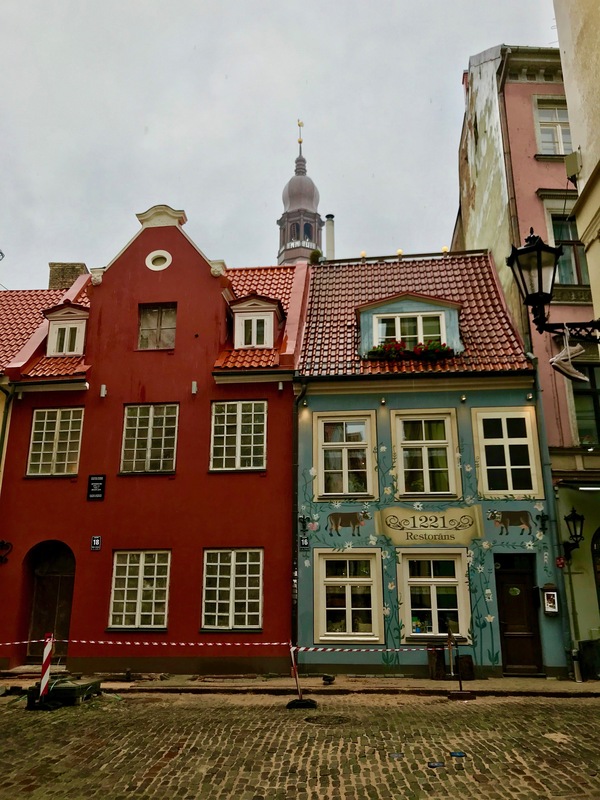 In retrospect, I´d describe Riga as a Scandinavian city with Eastern European influences. 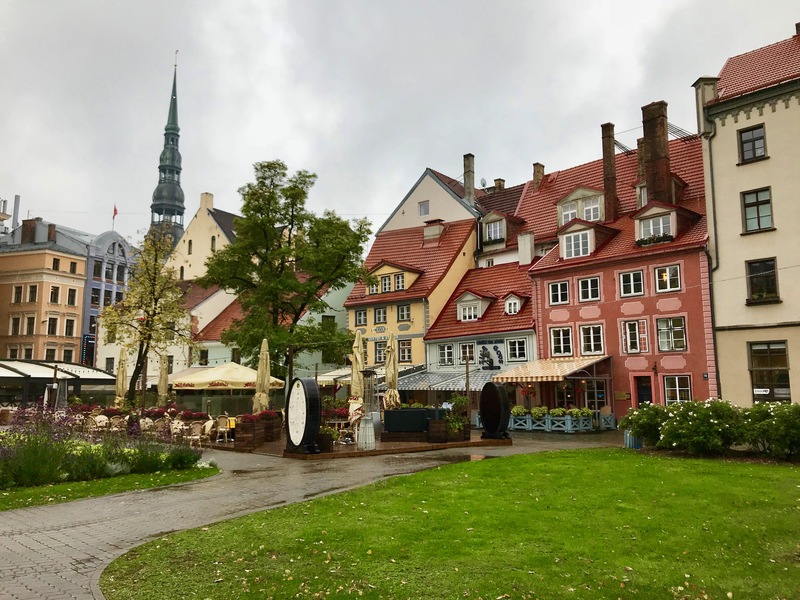 Especially due to the Latvian language, the architecture of the houses and the nature outside of Riga, I felt like being put into the stories of Astrid Lindgren – pure Scandinavia. 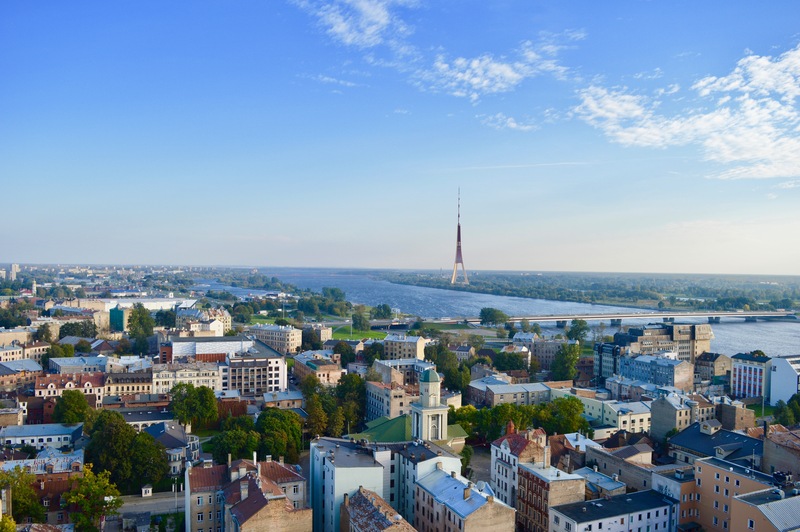 More of the facts about Riga will be found in the report – enjoy! 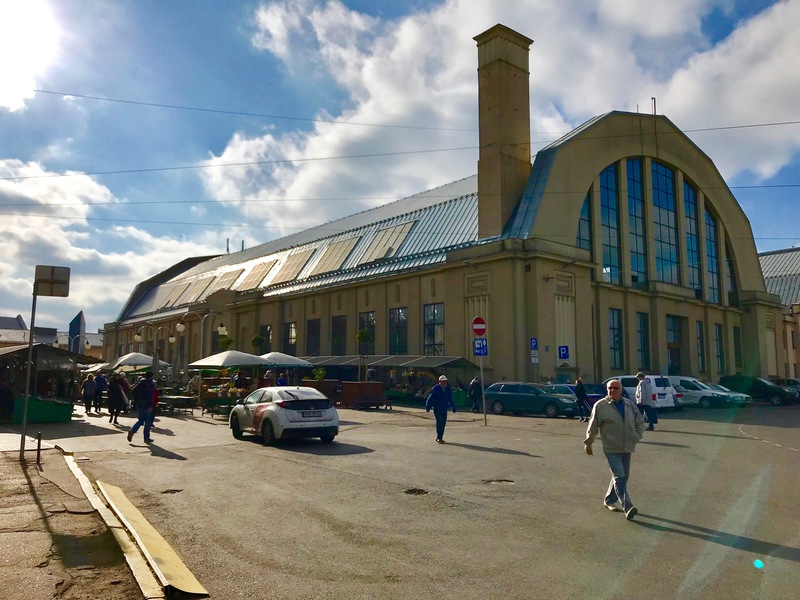 Stroll around the huge central market in the zeppelin halls – very impressive! 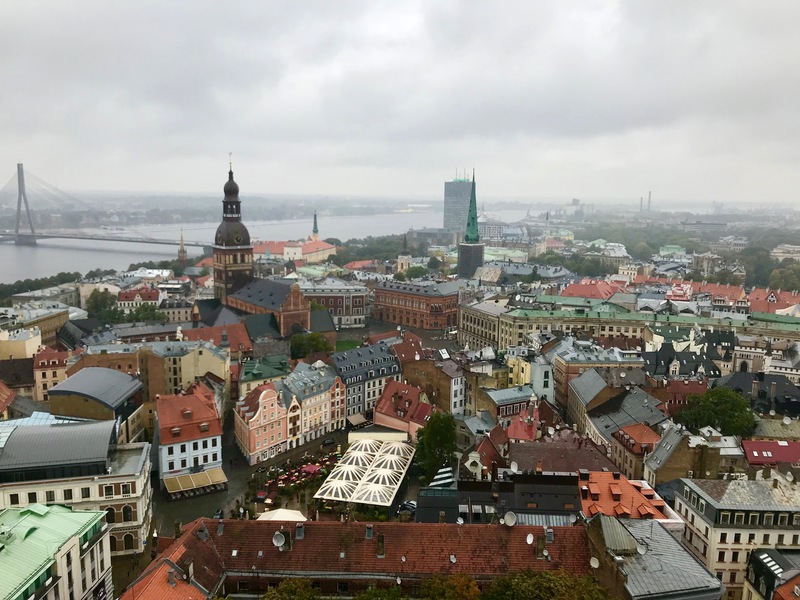 Enjoy the view from the roof of the Latvian Academy of Sciences – very nice! 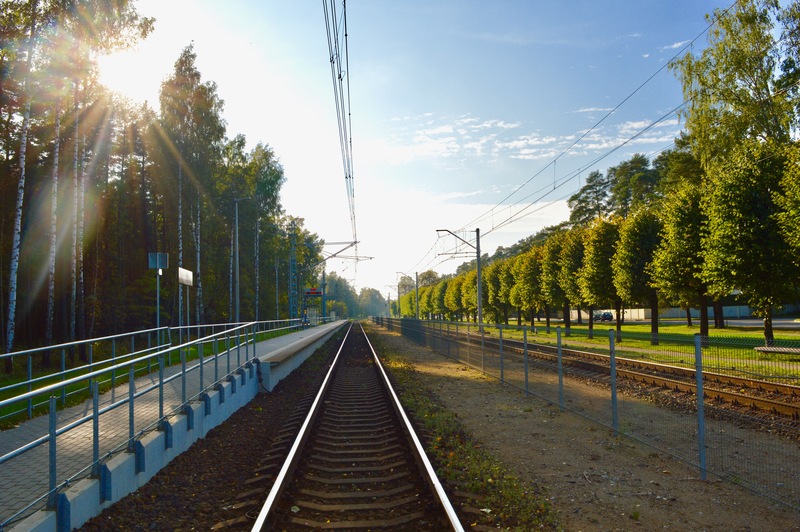 Visit the suburb Jurmala with the traditional train – pure relaxation at a beautiful beach! Walk through the historic old town and buy some amber-suvenirs – unique in Latvia! Enjoy a tasty drink at the rooftop-bar of the Radisson Blu Hotel – unforgettable! 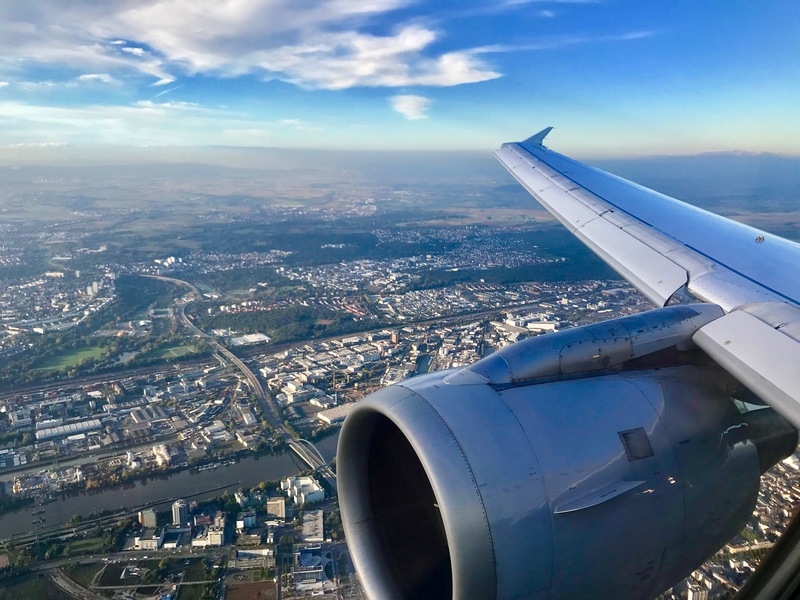 The trip began with a flight from Munich via Frankfurt to Riga in Lufthansa Business Class. Click here for a separate review of the flights in Business Class. 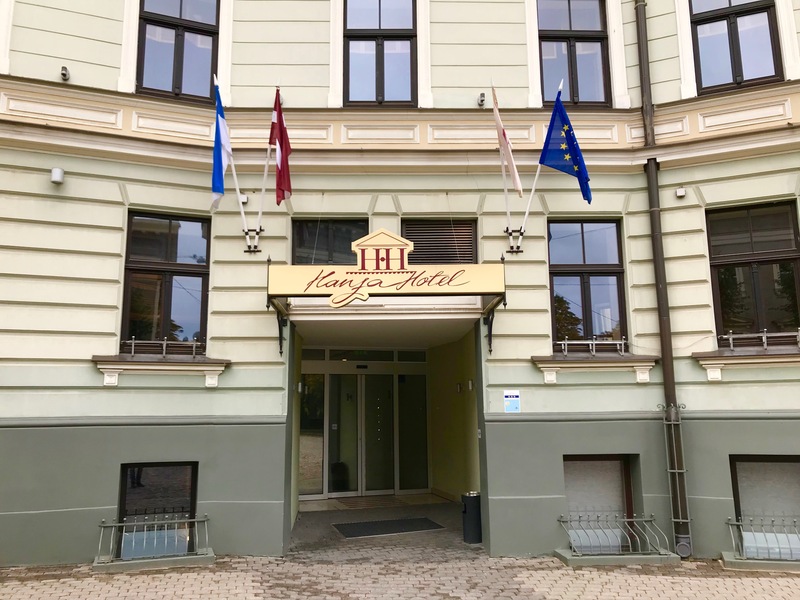 During my trip I stayed in the 3-star Hanza Hotel, which is located quiet close to the central market and the old town. 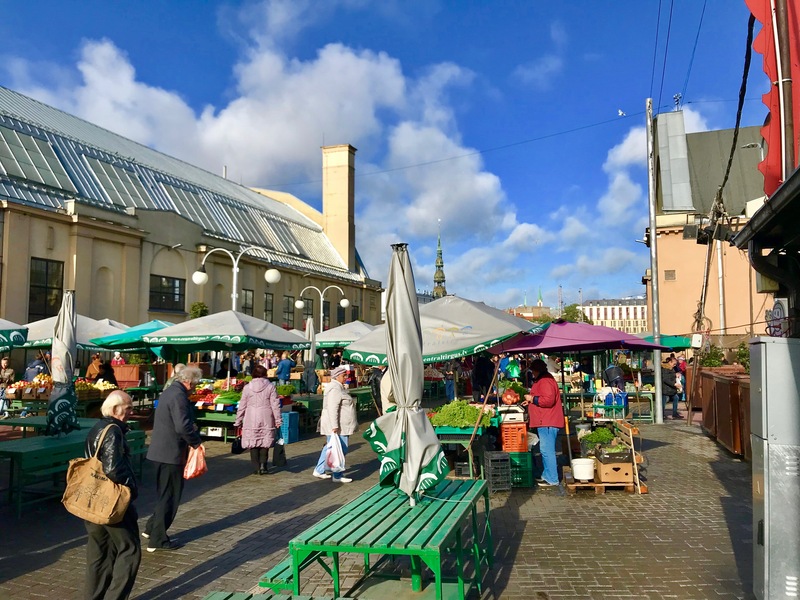 Right next to the central station you can find one of the highlights of Riga – the central market. 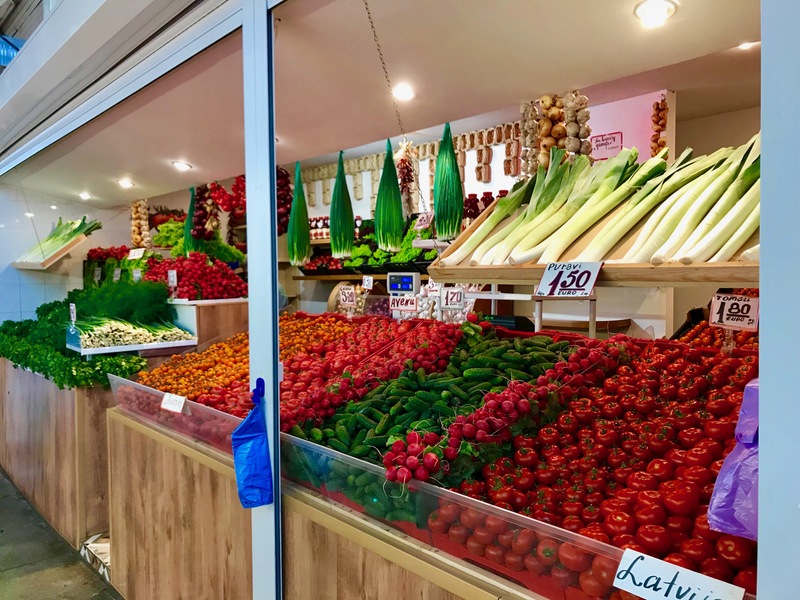 Everything can be bought here – fresh fish, meat, vegetables, fruit, pickles. 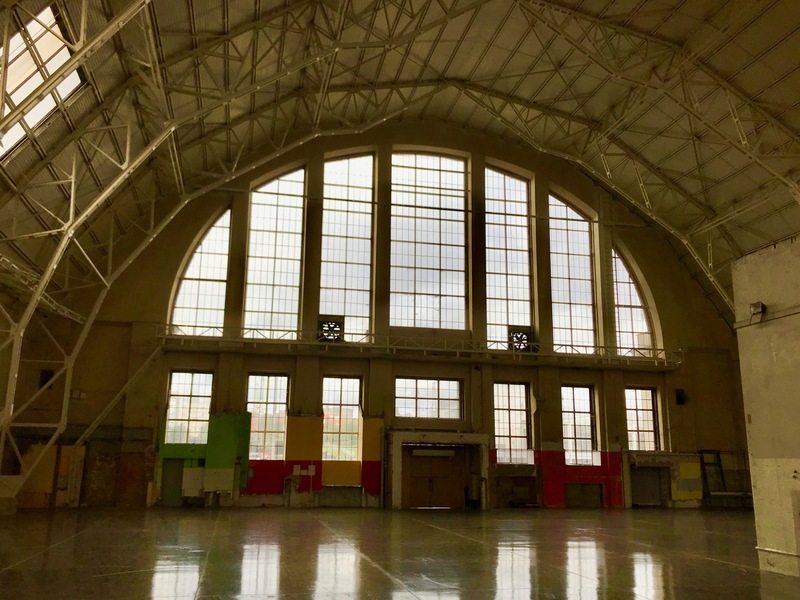 The huge halls have been used for building zeppelins during the Second World War – such an impressive scenery! In the historic old town, you can find beautiful little houses in endless corners and squares – each of it represents a visual highlight. 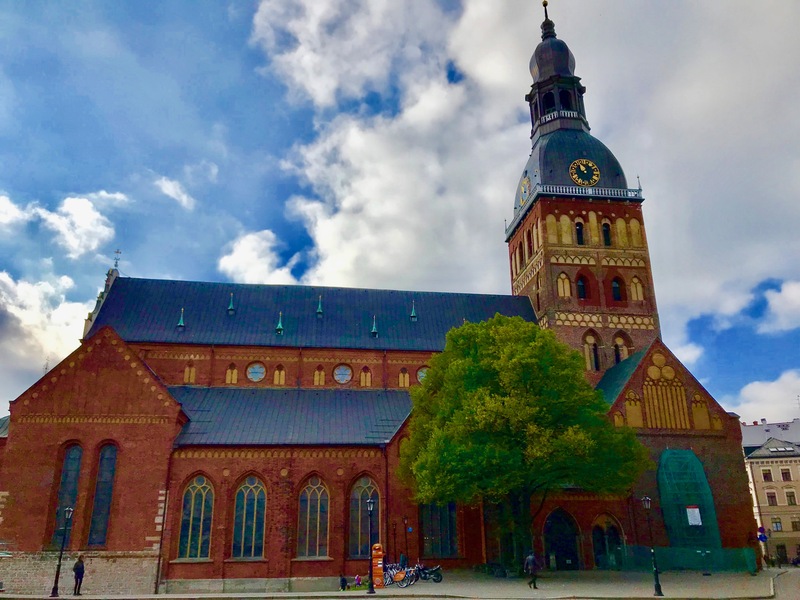 The Riga Cathedral in the old town is 90 meters high and thus the largest church in the Baltics. 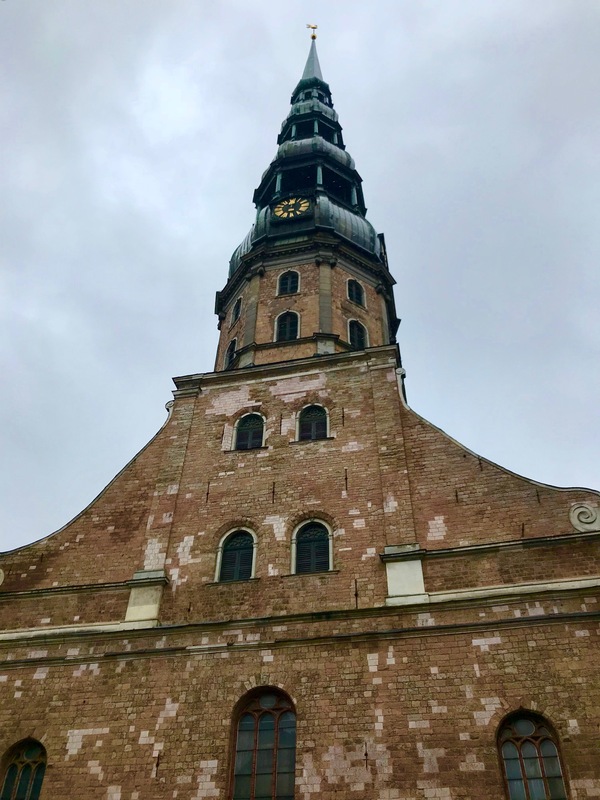 One of Rigs´s landmarks, and also the most magnificent building in the city, is the 27-meter-high House of the Blackheads in the heart of the old town. Since the early 14th century, this impressive building was used for gatherings of the population. Even today, there’s still a café inside, which continues the Latvian history to this day. 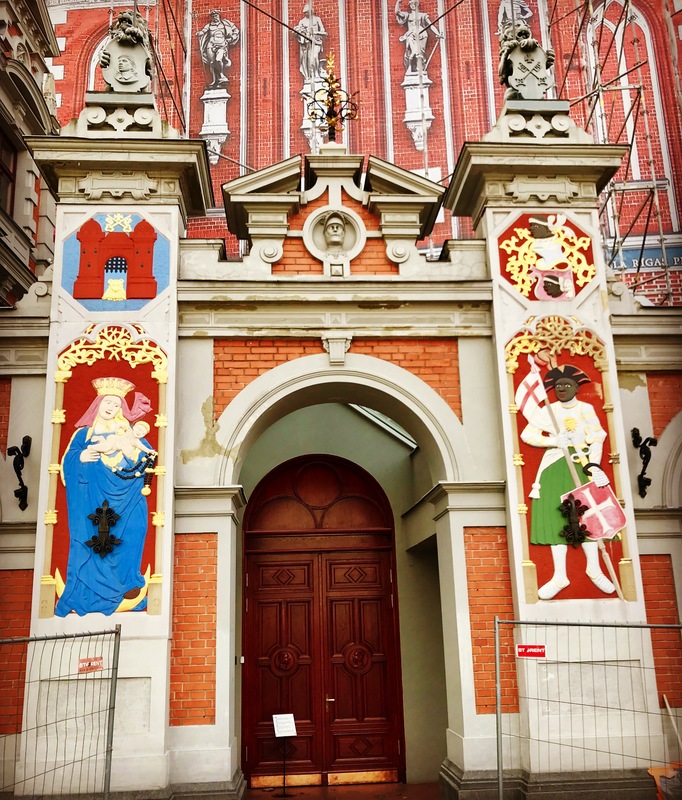 Unfortunately construction work was taking place at the time of my visit, so it wasn’t possible to see the famous astronomical clock. 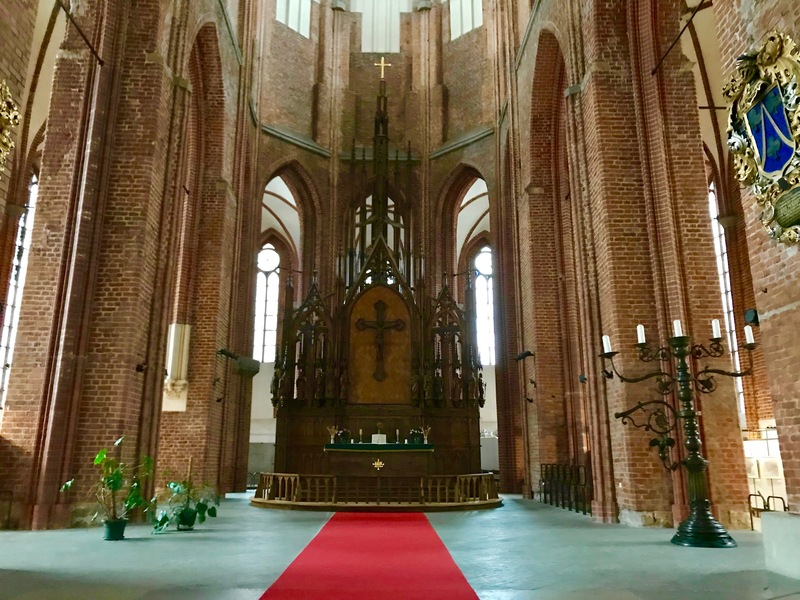 Another notable church in Riga is the St. Peters Church. 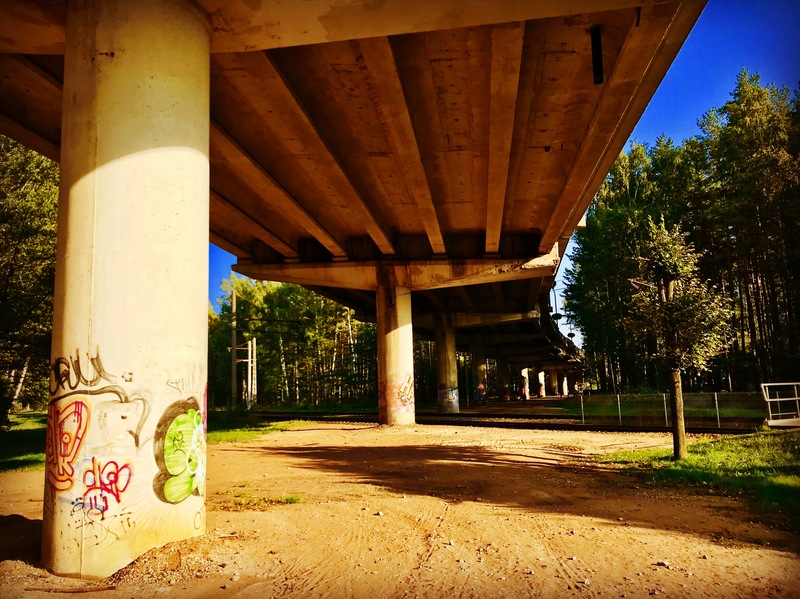 … you have a great view all over Riga. 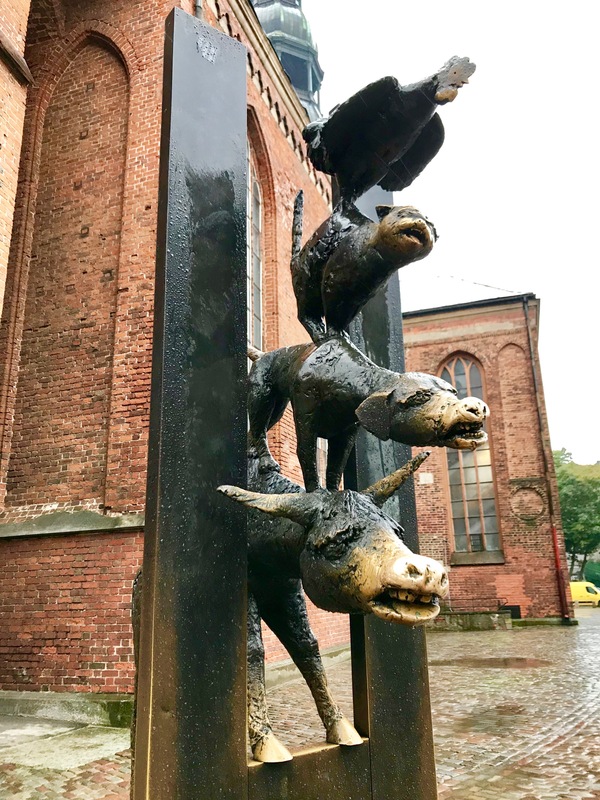 No, we´re not in Bremen – ein, wir sind nicht in Bremen – in front of the St. Peters Church there is a replica of the Bremen Town Musicians in homage to the German twin city. 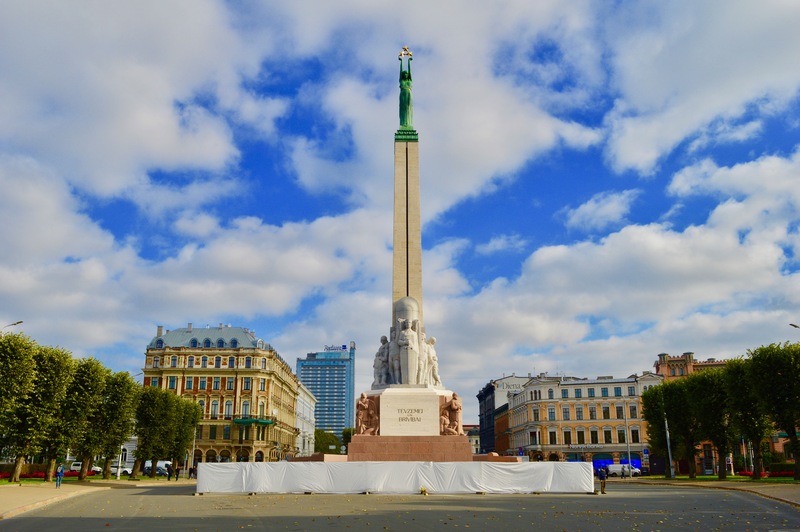 The 42 meter Freedom Monument in the center of the city is the symbol of Latvia´s national sovereignty. The figure at the top holds three stars that embody the three historical regions of Latvia. Only five minutes away from my hotel and not far from the central train station, there is the Latvian Academy of Sciences. 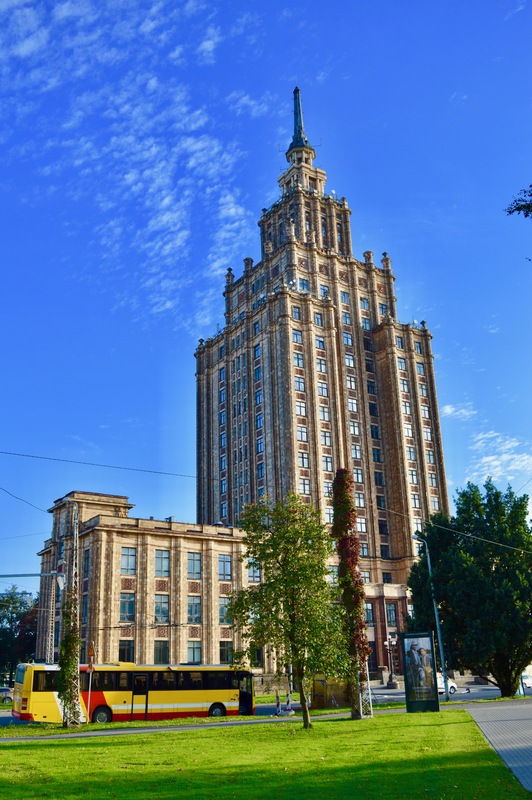 It´s still the highest scientific institution in Latvia. 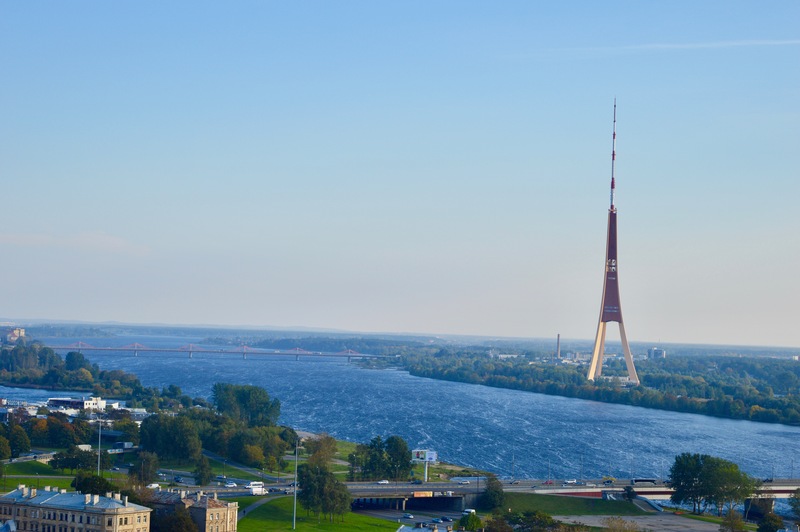 … the viewing platform in the 21st floor offers one of the best views high above Riga. 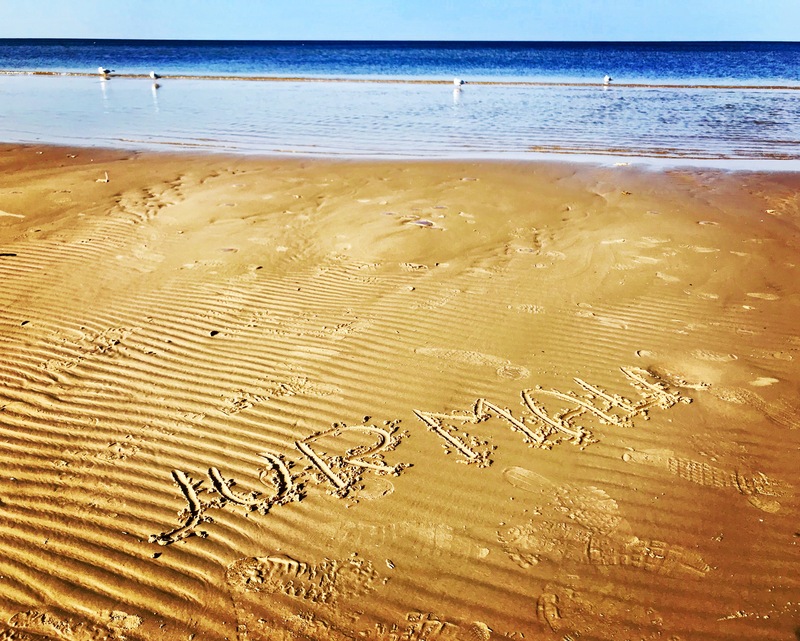 One of the highlights during my journey to Latvia was the trip to the Baltic Sea, in the suburb Jurmala, about 20 kilometers away from Riga. 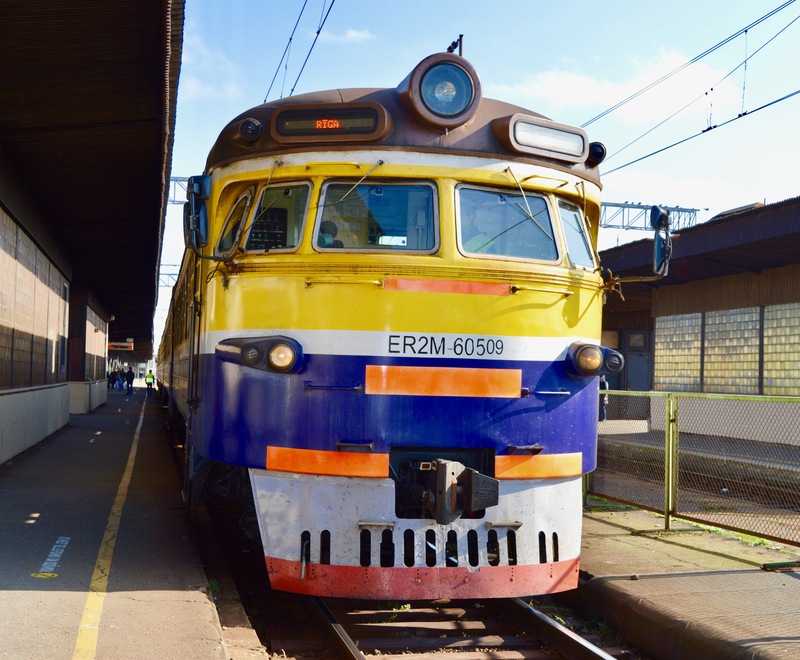 A little adventure was to purchase the train tickets at Riga Central Station. Unfortunately I’m not able to speak the Latvian language and neither English nor Russian words could be found anywhere… Fortunately a German-speaking Latvian supported me and five minutes later the tickets were bought (about 2,50 € for round trip to Majori) and the trip could begin. 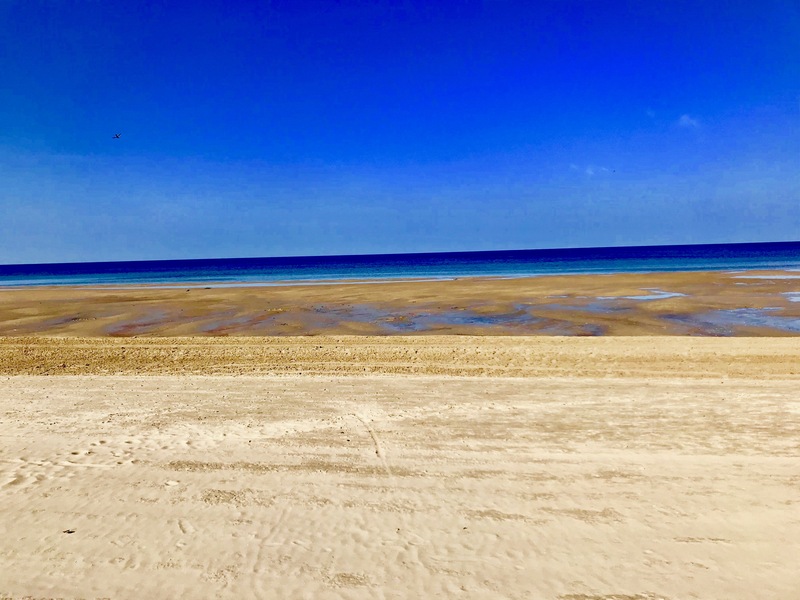 Along beautiful landscapes and picturesque houses whose Scandinavian influence can hardly be denied, the trip ended 30 minutes later on the white Baltic beach in bright sunshine. 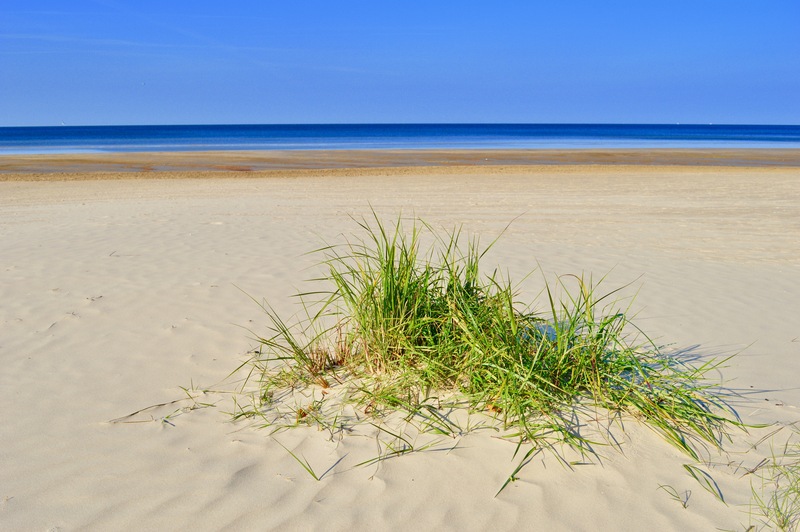 I can recommend every visitor in Jurmala to walk along the beach, preferably around the areas of Majori and Dzintari. 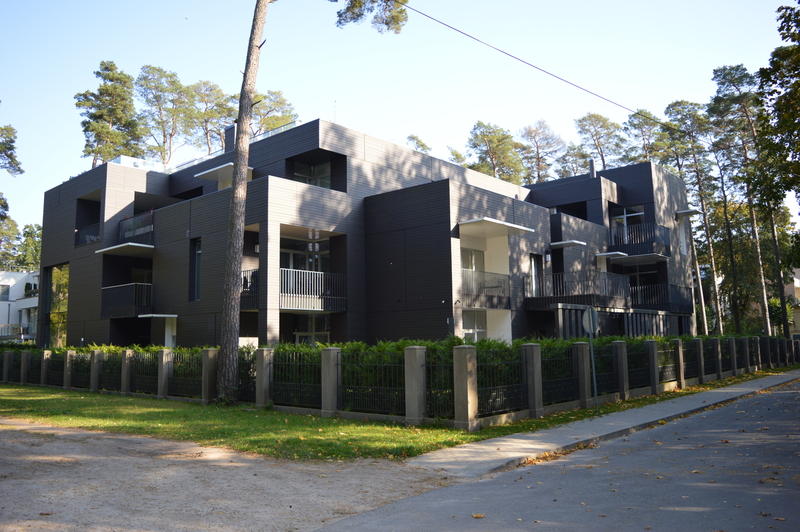 In addition to some cafes at the beach, there are also numerous impressive villas of Russian oligarchs. In bright sunshine, I have to say goodbye to the versatile city of Riga. 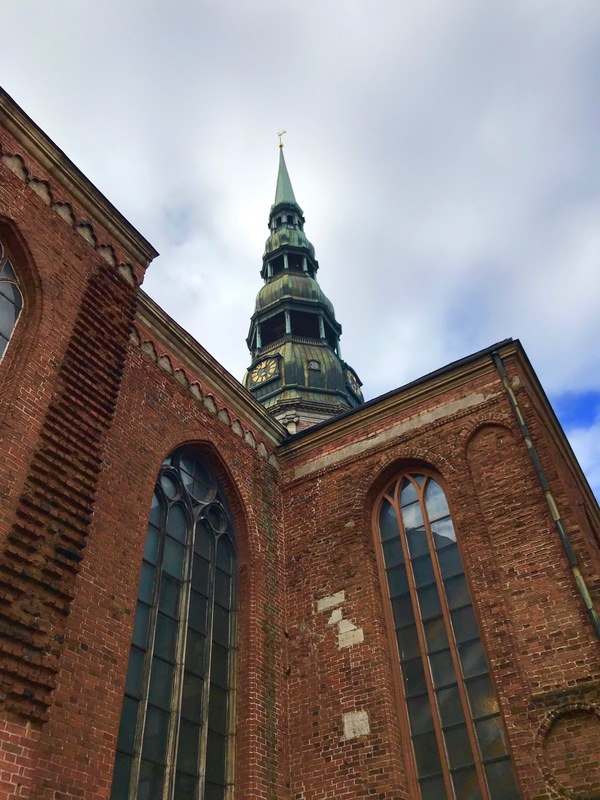 For lovers of culture and history, as well as for nature lovers and proponents of beautiful buildings, the Latvian capital offers many impressive highlights. 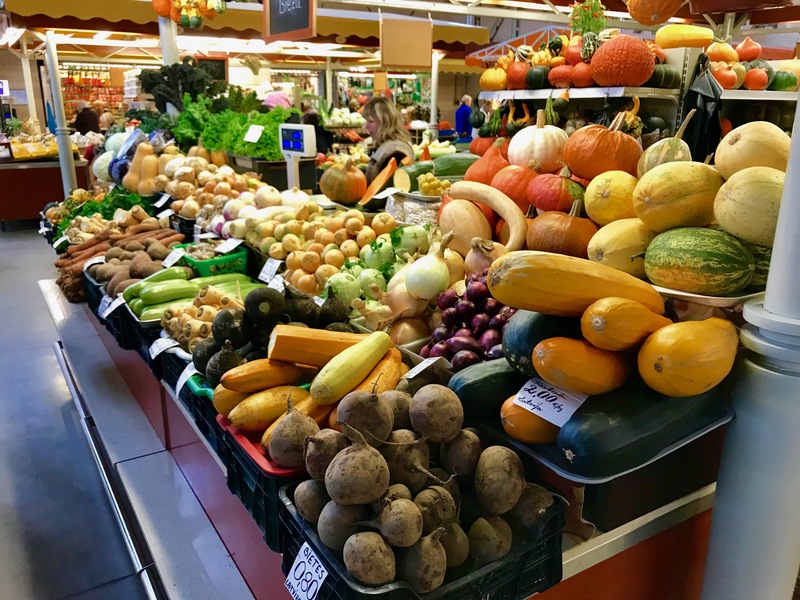 My personal highlights have been the central market in the great zeppelin halls and the trip to the beautiful area of Jurmala. 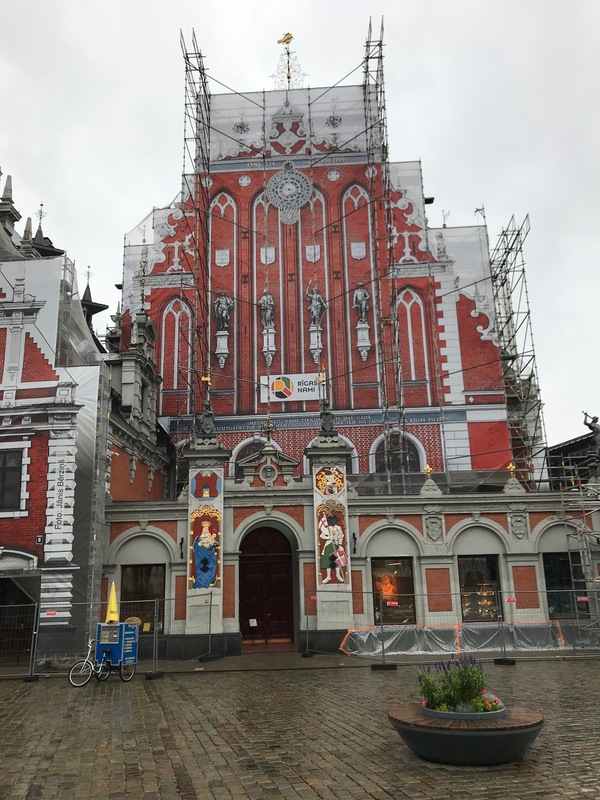 At least for these reasons, I can recommend a trip to Riga and wish every visitor to have better weather conditions than I had on 4 of 5 days 😉 .